If you are looking for a robust and stylish door for your home, our composite doors in Edinburgh are the perfect option. We give you the freedom to choose the composite door that best suits your home and your personal taste. These doors are made to last and offer excellent security for your home, will improve comfort and warmth and are some of the most stylish doors on the market today. Why not speak to the team here at Celsius Windows today to see a sample of our composite doors and our brochure? We would be delighted to provide you with a cost effective quote to consider at your leisure. 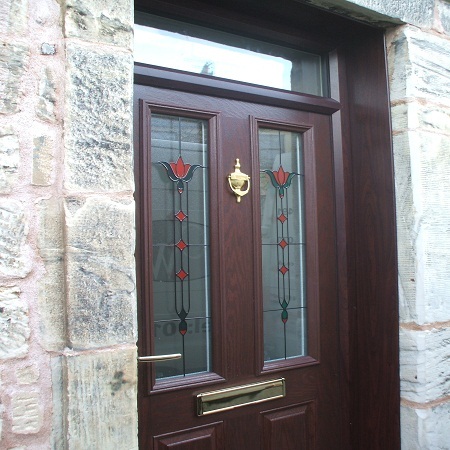 At Celsius Windows, we are very proud of our composite doors in Edinburgh and have fitted many across the region. The great thing about composite is that it gives you the look and feel of wood, but the robustness and versatility of uPVC. This is great if you are looking for a stunning looking door that also offers excellent security for your property. We offer a range of composite doors in a wealth of colours and styles and our team is on hand to show you this range today. We can arrange everything for you and ensure that your new door is fitted as quickly as possible and to the very highest standard. Speak to us today to find out more. The best composite doors in Edinburgh are just a phone call away. Speak to the team here at Celsius Windows to find out more about our range and to arrange a free survey and quote to consider at your leisure. When it comes to style, value for money and high quality, nobody does it better than our team and we would be delighted to tell you more about our range of composite doors and to give you a price that we are sure you will be very happy with. Our team is standing by right now to tell you all about the many benefits of composite doors and to arrange a free survey and quote at your convenience. Call us today!